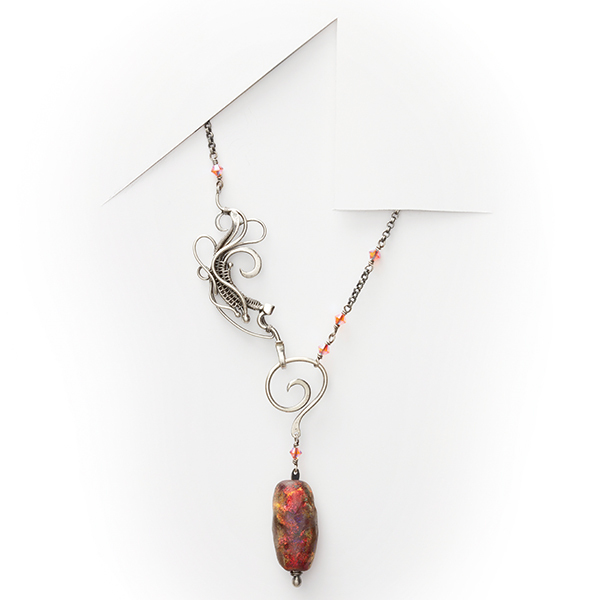 A clasp design as beautiful as the Tempest clasp project from Sarah Thompson’s stunning wire jewelry book Woven in Wire is just too pretty to hide in the back! Spotlight the intricately sculpted and woven design center stage with an attention grabbing pendant. 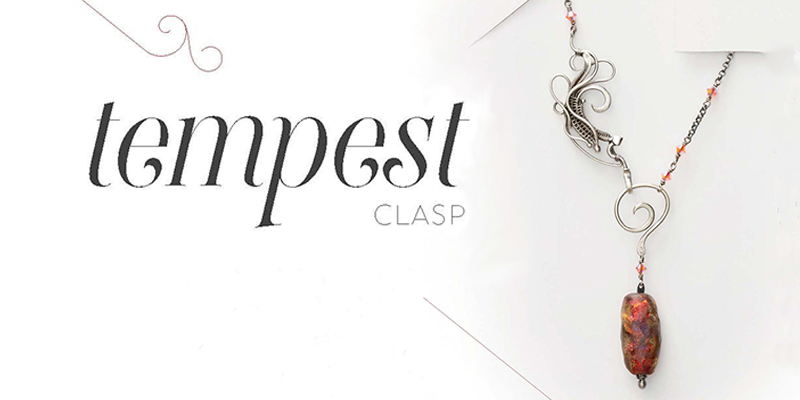 Sarah suggests making your first Tempest Clasp as an asymmetrical necklace. Then if you want a slight variation, take it a step further for a more challenging symmetrical wire jewelry design by creating a second mirror image of the clasp. The two components connect just as easily as one. The clasp is a knockout sure to draw attention! 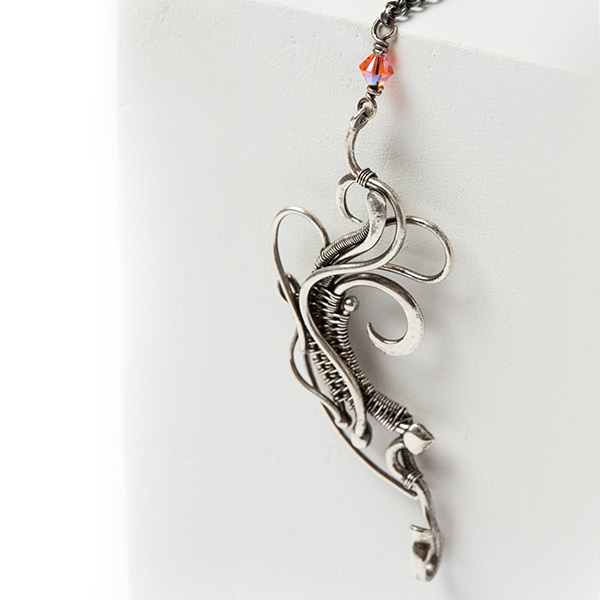 Projects like this and the others featured in Woven in Wire will grow your wire jewelry skills with each new piece. With Sarah’s expert guidance and step-by-step advice, it’s like being a student in a 1-on-1 wire weaving class. Clasp shown measures 2-1/2″ long by 1″ wide. 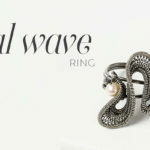 Explore the art of wire weaving with this and other beautiful woven wire jewelry projects in Woven in Wire!